This is our final week with Priscilla Shirer’s Gideon study. For those of you following along, I hope you have enjoyed it as much as I have. We caught a glimpse of what our study would tackle this week during last week’s review of Audio Session 6: IDOLS. Now in modern day America, we don’t call the things we put in place of God idols, we call them hobbies or work or exercise or parties or relationships, but they can all look exactly like the idols of Gideon’s day. Have you been on either side of that? Have you ever made a “god” of something or someone? Have you ever put yourself up on that pedestal? Well, I can answer yes to both of those questions. And not from some way back distant memory but from this past week. So the first side of the coin here is Israel. In Judges 8:22, the Israelites ask Gideon and his sons to rule over them. Gideon, Week 6, Day 2 Even iinherently good things, gifts God has given us, can become the most harmful idols since that is the sneakiest way to build idols. Examples are as simple as a successful career, until you’re willing to comprise your values for it; a committed significant other, until he consumes all your attention; a plentiful bank account, until you rely on that for security; your favorite pastime, until it’s all you think about and make time for in your life. Each of these things at the outset is such a blessing, but we can make it into our idol when they become our rulers and pull us away from God’s plan for us. I wish I could spend this whole post on Israel’s idolatrous history, but if you look at Exodus 32, you will see the people asked Aaron to build them idols WHILE THEY WERE WAITING for Moses to get down off of the mountaintop with God. Y’all, they were so impatient that they couldn’t wait to hear what God had to stay after direct conversation with Moses so they tried to set up a golden calf image WHILE Moses was in the middle of conversation with God. Can you imagine how blown away he must have been when he came down from the mountain??? That has proven ever true in my life. I allow something harmful to grow into an opportunity for the enemy to pull me away from God’s best plan for my life. But Israel wasn’t the only one guilty. Gideon did a pretty impressive 180 degree turn from listening to God’s voice, to believing his own accolades and trusting only in himself. Gideon’s idol was supposed to be a way to hear God, but Priscilla reminds us this was his way of convenient Christianity. Building an “ephod” in his backyard meant he could come to God on his own terms. How do we respond to God’s plan for our life when it requires more effort or energy that we really want to give? So how do we leave this study? How are we going to be different? Let’s make sure our story ends differently than Gideon’s. Here is Priscilla’s charge: (1) meet the next battles differently than we did before; (2) come to a greater dependence on God; (3) have a hunger for the word of God and a passionate pursuit of Him. Her parting prayer over everyone was freedom from fear: He has not given you a spirit of fear! How dare we live under a cloud of fear when the God of all power has paid such a high price to redeem us from it. We are nearing the end. One week of homework left in Priscilla Shirer’s powerful study on Gideon found in Judges 6 – 8. That is my prayer as well. 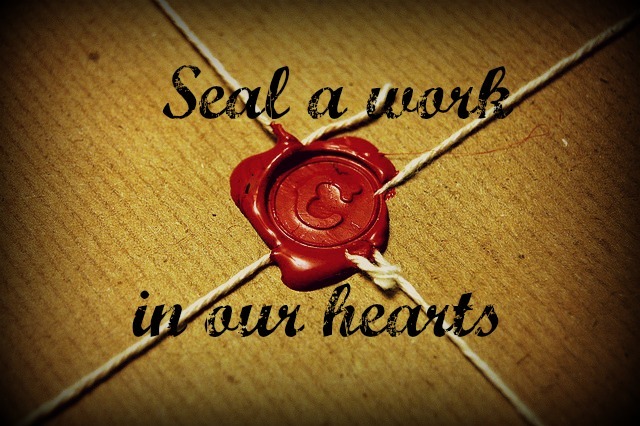 That something you read would be a word God would speak in your life and would seal over your heart. We skip a bit over our story from where we left Gideon last week. He had stopped trusting and listening to God and he had set off on a personal vengeance mission. Read Judges 8 to see what happens next. As Priscilla puts it, Gideon starts believing his own press and stops deflecting glory from himself and turning to God. In fact, even though he does eventually refute the crown offered to him and his sons, he does not refute the credit given him. Gideon doesn’t turn and say, hey, don’t you remember, I was terrified. This unbelievable win, this victory, that was ALL God. No. Instead he believes his own press. And he called for them to give him an offering, not God. Psalm 75:6 says, “promotion comes not from the East or the West but from the Lord.” All too often, we give credit to someone or something tangible. We take credit for ourselves, oh look what I accomplished in my own strength, or we give credit to circumstances or a mentor or timing. All of those things are excellent, but they are God provided. The lesson for this week focused on WHO IS KING in our life? What has become a snare in our own life? Who or what has authority in our life? Who have we been giving the credit too? Do we deflect glory back to God? Keep anything that belongs to God? Who is King? Is it a relationship? A hobby? A job? An addiction? Media? It’s where we spend our time, where we give our focus, where we allocate our resources that shows what actually governs our life. I’m certainly going to spend time praying this week about what I’ve been placing above God in my own life. I imagine each one of us has an opportunity for radical transformation if we will lay some things down and put God back on the throne. Sorry for a delayed Gideon post, but as you may have caught on Tuesday, I had no power because of a March winter storm in Houston – don’t ask…. Today we’ll cover some of Gideon’s Week Five homework and finish it and the audio instruction next week. I love the focus at the week’s beginning: Unusual Weapons. Priscilla Shirer reminds us that Gideon not only went into battle outnumbered 450 to 1, but he also went into the battle armed with three crazy nonsensical weapons – a torch, a trumpet, and a water pitcher. A what? That’s right! A torch. A trumpet. And a water pitcher (see Judges 7). And from the account we have, it doesn’t appear any of the 300 chosen men even questioned the instruments of war they were given! Well, the same goes for us when our traditional weapons of talent and strength and money fail. God gives us the less obvious, but incredibly powerful, weapons of prayer and faith and praise and scripture. Remember the tag line? Our weakness, God’s strength. It’s in our weakness that He can shine brightly. It’s what comes next that comes as a surprise. The challenge is twofold today – bravely following God into the battle where He calls us, no matter what the odds are or the weapons look like, but then being willing to step aside when God tells us it’s time to pass the baton to someone else. Hard lessons to learn. But so worth it in the end. We focused last week on Week’s 5’s audio session and didn’t hone in the powerful homework from week 4. Since I can’t write a 2,000 word post, I’m going to spend most of our time on Day 2 of the homework for those of you following Priscilla Shirer’s Gideon study. Then he said to Him, “If now I have found favor in Your sight, then show me a sign that it is You who talk with me. Do not depart from here, I pray, until I come to You and bring out my offering and set it before You.” And He said, “I will wait until you come back.” So Gideon went in and prepared a young goat, and unleavened bread from an ephah of flour. The meat he put in a basket, and he put the broth in a pot; and he brought them out to Him under the terebinth tree and presented them. The Angel of God said to him, “Take the meat and the unleavened bread and lay them on this rock, and pour out the broth.” And he did so. Then the Angel of the Lord put out the end of the staff that was in His hand, and touched the meat and the unleavened bread; and fire rose out of the rock and consumed the meat and the unleavened bread. This is the first thing that struck me: God agreed to wait on Gideon. What? I can’t imagine. But Priscilla says, “God wanted to receive the gifts that Gideon would prepare. He cared about Gideon’s gifts – just like He cares about yours.” Gideon asked if he could bring the angel an offering. For that, the angel was willing to wait. Then he went and prepared the offering. This is in a time where fast food does not exist. This is also a time of great need and deprivation. But Gideon goes and finds a goat, prepares the goat, and cooks the goat. Then he goes the to the trouble to bake bread. And simmer broth. The angel was waiting a very long time. After all that, Gideon comes back to present this painstakingly crafted offering. Once Gideon follows the instructions, a rock is turned into an altar – “Had Gideon’s gift gone as he hoped, it might have been tasty, but it wouldn’t have been a sacrifice to God.” Oh. Yes. So those four steps I led with, I don’t know where you are in the journey, but know that the first step is to prepare an offering to give to the Lord. But be forewarned, you may be called upon to pour it out. I can’t leave today without at least mentioning this crazy test Gideon puts God through after this encounter. FYI, peace found Gideon after this offering, yet he still tested God. He asked for God to make a fleece wet with dew and the ground around it dry on the first morning. God did exactly that, responded to Gideon’s test, but then Gideon asks the next morning for God to make the ground wet and the fleece dry. There are some incredibly history lessons found in the study which you should not miss as to why this was the test chosen, but I only have time to mention the actual testing. Have you tested God? Thrown down the gauntlet before Him? He is not scared of your test, but be careful. Priscilla contrasts Gideon’s testing of God with Moses “testing” or questioning of God in Exodus 4. In the latter, God got mad. In the former, God responded. Gideon had faith in God but was being careful before moving forward. Moses was doubting God and didn’t believe that he had the strength to accomplish the task God was calling him to. Guess what, he didn’t have the strength!!! He only needed to trust God was stronger. I heard Christine Caine speak this week and she asked, when did we start believing that our limitations were stronger than God’s power to overcome them? 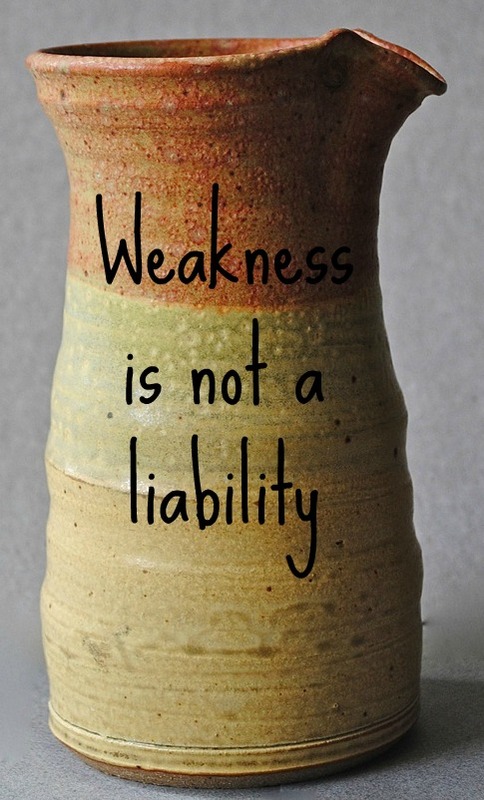 That brings us back to the tag line to this study: Our weakness, God’s strength. Never test God out of a place of self-doubt. God can accomplish whatever He wants to accomplish through you if you will only let Him work. And this study came flooding in. It likely came flooding in because it happened just this morning, and I had just listened to Audio Session 5 after Week 4 of studying Gideon. Priscilla Shirer shares how Gideon faced the battle giving thanks and on his knees. He fell down and blessed God before going into the battle. Most battles are bigger than mine today. Some battles are over your marriage or over God’s calling for your life or over an addiction. But friends, this was still an in-the-moment battle. One I didn’t have a shred of strength to tackle. So I heard those words echoing in my head while laying there with my precious boy and changed my prayer: Thank you God for this precious child. Thank you that we live in a country where we know that he has asthma and can treat it when an infection comes. Thank you for our doctor who agreed to see him yet again this morning and check his oxygen levels. Thank you for your plan on his life and all that this is teaching us. Would you come help? Intervene? We are both so exhausted and I don’t know how I can tackle another day. Thank you for promising to be there when we don’t have an ounce of our own strength. I’m going to need to call on that today. See, it’s not like we’ve been taught to say please and then thank you. No. 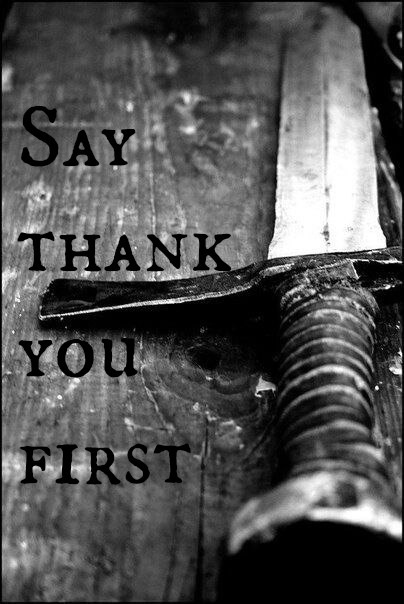 Gideon reminds us we’re supposed to say thank you first. We left off last week where we were reminded that God is patient. Thank heavens. God was patient with Gideon – through him questioning the angel of the Lord in Judges 6, during the testing of God with the dew on the fleece (we didn’t study it, but don’t miss Judges 6:36-40 where Gideon TESTS God! ), and as he prepares for battle in Judges 7. God is also patient with us! And hopefully you will be patient with me as we walk through Week 4’s homework next week because it’s just been a really hard week.